During this evening event, the play areas are reserved for kids on the autism spectrum and their families. Kids have a great time meeting new friends. 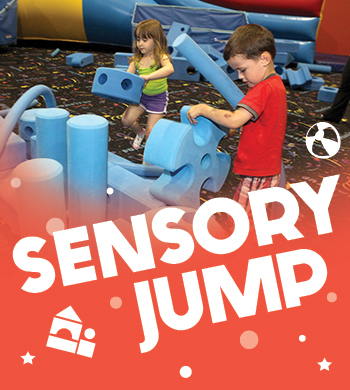 Jump, slide, and play with sensory-friendly games in a safe and controlled atmosphere. Second Tuesday of every month. Put a little extra bounce in your step! Huge inflatable indoor playgrounds make everyday feel like a party and we give you tons of ways to surprise the kids with an unexpected treat. Check out our calendar of events to find out all the ways to come and play. Because many of our stores require reservations, be sure to call your local BounceU to reserve your spot!